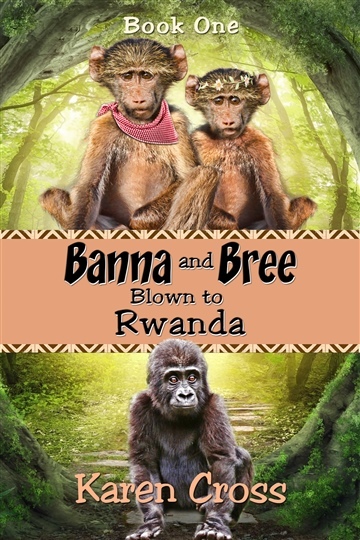 Banna and Bree live, but is set in the stunning jungle of The Volcanoes National Park in Rwanda. While Banna and Bree are in Rwanda they learn first-hand of the plight of the mountain Gorillas and the constant threat of poachers in the Park. Banna and Bree live with the Park families and create friendships with Caeb the Chameleon and Jastin, the gorilla and the Mountain families. When poachers threaten the lives of the Mountain gorillas, and in particular Jastin’s family, the Park animals unite to protect the gorilla families. They come up with a plan and implement strategies and are forced to put their plan into action when a baby gorilla goes missing. The animals excel in their hoof to hand combat in a life and death struggle for survival. Banna and Bree experience the challenges of the Park animals, the unique friendships that are quite heart-warming and humorous, and learn what true heroes will sacrifice for their mates. Banna and Bree befriend these magnificent endangered species, highlighting environmental issues and human impact on animal habitats.